Yossi Milo Gallery is pleased to announce an exhibition of color photographs by Loretta Lux. The exhibition will open on Thursday, January 22 and close on Saturday, March 6, with a reception for the artist on Thursday, February 12 from 6:00-8:00 p.m. This exhibition will be Ms. Lux's first solo show in the United States. Originally trained as a painter, Ms. Lux continues to draw influence primarily from paintings by Old Masters, including works by Bronzino, Velasquez, Goya and Runge. This influence is especially apparent in Ms. Lux's compositions. Structuring the photographs by carefully choosing the models, costumes, and backdrops, she usually composes the works digitally “to make them meet my ideas perfectly,” she says. Ms. Lux uses her own paintings in the backdrops, and photographs the children separately, divorced from any social setting. The artist then places the subjects into the background, digitally enhancing various aspects of the image, including the costumes, subjects and settings. The effect is of isolation and distance, which Ms. Lux explains as a basic experience of human existence. This distance shifts Ms. Lux's images outside the normal realm of portraiture. Lux's photographs of children are not portraits in the traditional meaning of the word. Rather, she sees them as imaginary portraits which deal with the idea of childhood as a paradise lost. The carefree, innocent childhood ideal is explored in the photographs as an imaginary kingdom, one which is created more by the projection of adult ideals and concerns. The images, portraying self-aware children, are about the discovery of the self, or the development of a concept of one's self. “We are radically alone and forced to choose our own path and create our own authentic life, but the self is a mystery,” says Lux. 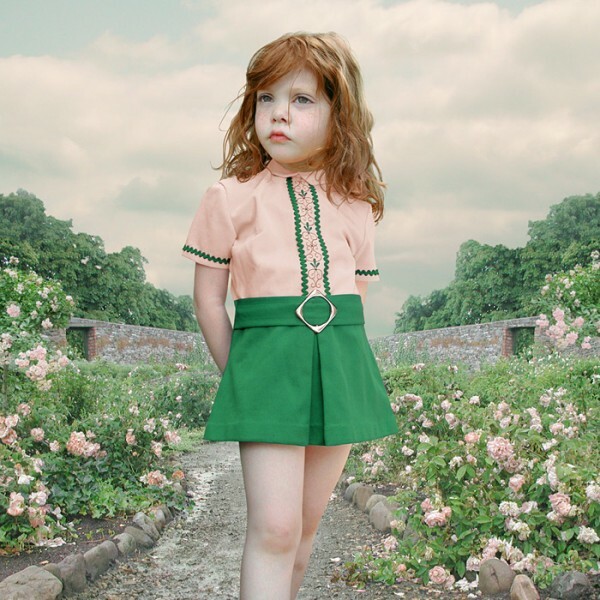 Loretta Lux was born in Dresden, Germany in 1969 and currently lives and works in Ireland. Her work has been exhibited extensively abroad and is included in several collections in Europe and the United States, including the Los Angeles County Museum of Art, the Brooklyn Museum of Art, the Museum of Fine Arts, Houston, the Norton Museum of Art, the Bayerische Staatsgem”ldesammlung, Munich, Artothek Munich, Photo Museum Munich, and Fotomuseum Den Haag.